Artichokes are good for you - and seriously delicious. Let's meet one of Melbourne's finest growers. The Mazza family has been tending the fertile soil in Victoria’s Werribee South for generations, producing an abundance of fresh fruit and veggies for market sale. Narrowing the growing focus over the years, Ross Mazza now specialises in growing globe artichokes in a range of varieties. While the season is in harvest, the farm’s busiest time, Ross takes a moment to share with us his knowledge of this often overlooked springtime ingredient. Why have you chosen to specialise in only one vegetable? Agents and distributers now seek only reliable growers who can supply quality produce continuously. This causes growers to specialise in certain lines, in my case globe artichokes. What are the best growing conditions for artichokes? Cool nights and rich, well-drained soil is ideal for growing the globe artichokes. They dislike the intense heat, and also become affected during the frosty mornings. How did your family get its start farming in Werribee? My father, Giovanni, purchased his own farm and became a market gardener in 1945. He loved artichokes and grew his first globe artichokes only for his own family and friends, starting with just a dozen plants. Over the years he propagated the plants to increase volume and by the early 1950s Giovanni was selling them at the Queen Victoria Market. At the time he grew multiple types of vegetables, and introduced the artichokes only as a side-line crop. At the time there was little recognition for the artichoke, but as European immigration increased from the late 1950s and continuing in to the 1960s, awareness was increased and, therefore, sales of the globe artichokes, along with many other European vegetables also increased. In Giovanni’s later years, he preferred to grow mainly globe artichokes. Today, I specialise only in the globe artichokes, and as the market supply and demand has increased over the last decades, I have introduced different varieties. Have you seen changes in food trends and, subsequently, demand for your products over the years? Although society is more aware of this unique vegetable and demand has increased substantially since my father produced it, there is still not enough awareness of its amazing flavours and health benefits. As many Australians have not seen or tasted artichokes in their childhood, as adults the globe artichoke seems intimidating to consumers to prepare and cook. This is why we have developed our website to offer information on how to prepare, cook, store and preserve artichokes. We took a trip to California last year and the locals there love the globe artichoke. They serve it in all their restaurants in different types of dishes and sell them in all their supermarkets and fruit shops. Bakeries even make artichoke bread and muffins. In your opinion, what is the most delicious way to eat an artichoke? We prefer our artichokes stuffed with breadcrumbs and cheese. This is an old traditional Italian recipe passed down to us by our ancestors. Most consumers prefer this method. What are three facts most people don’t know about artichokes? 1. Artichokes are low in calories and fat, but are a rich source of dietary fibre, which can be easily digested. 2. They contain more antioxidants than red wine and, as they are high in plant protein, are ideal for vegetarians not wanting animal protein in their diet. 3. 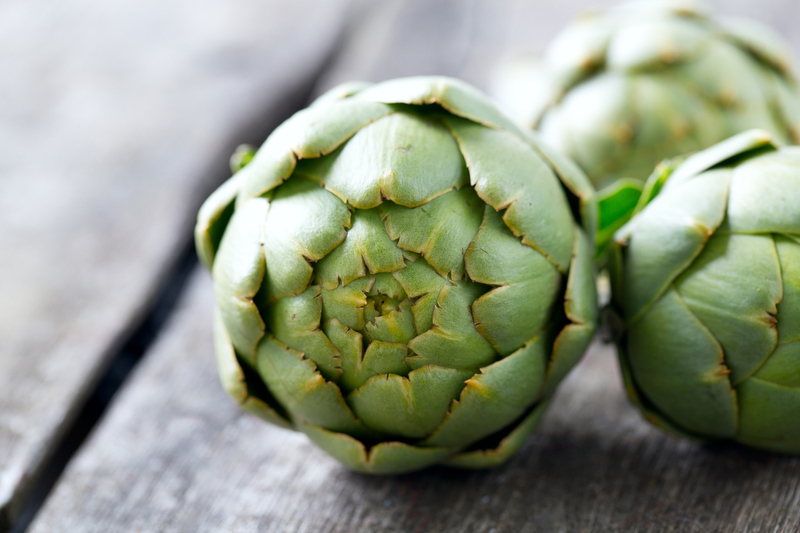 Artichokes improve digestive disorders and help lower your cholesterol levels. How important do you believe it is to eat with the seasons? It’s very important to eat with the seasons as this ensures you always eat fresh, healthy food. Produce that has been allowed to ripen fully on the plant in the sun is tastier, colourful, more nutritious and looks appealing. It’s also important to support the local farmers; when there’s an abundance of a product, it can be sold at a reasonable price, which is a win-win situation for supplier and consumer. Foods that are chilled for periods of time and then spend more time in shipping tend to lose a lot of their flavour. Our produce is sold direct from farm to market and sold fresh daily.